Hamas dismisses reports that Iran intends to resume its financial support for the group. Hamas on Tuesday denied reports that Iran intends to resume its financial support for the group. The Saudi pan-Arab daily Asharq al-Awsat reported earlier on Tuesday that Tehran has agreed to renew its financial aid to Hamas after heads of Hamas met with Iranian officials in Lebanon. 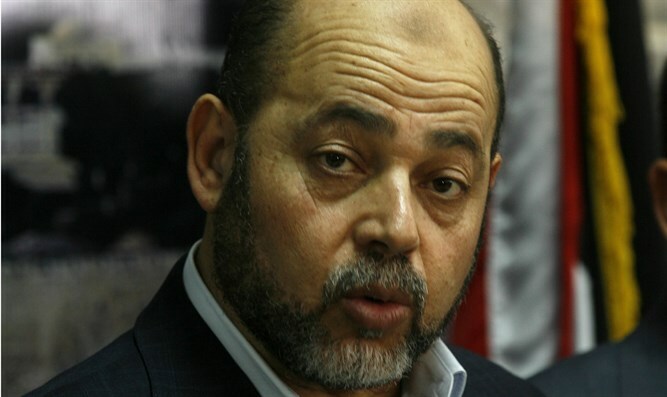 Senior Hamas leader Mousa Abu Marzouk dismissed the report as “fake news”, telling the Al-Quds newspaper that nothing has changed in terms of Hamas's relationship with Iran and claiming the media reports were "fabricated" and "baseless." The Saudi newspaper also said Hamas leader Ismail Haniyeh is expected to visit Tehran in the near future, but Abu Marzouk denied that as well, saying any and all trips abroad by senior Hamas members would be officially announced. Iran and Hamas have been at odds in recent years over the uprising against Syrian President Bashar Al-Assad, a close ally of Iran. As a result of Hamas’s refusal to support Assad in the uprising, an angry Iran reportedly stopped supplying the terror group with weapons. Last year, former Hamas leader Khaled Mashaal admitted that Iran had cut back its assistance to the group, but denied reports that Iran's move stemmed from a disconnect between Hamas and the Islamic Republic.